This adventure into the Animal community has been a wonderful experience and after bringing back life and energy into my own rescued dogs. I know how important a safe and reliable facility can be to a community. The unconditional love my fur friends gave to me during very trying times was a life saver. I feel it is now my turn to give something back to them. Our dream is to provide a place where dogs go when their family members are working. Along with a place they can be groomed under a more relaxing environment. After visiting several self-dog washes across the country in my travels back and forth from the west coast. This adventure is for the dogs, providing them with a “home away from home” environment. We strive for shorter levels of stress for your pet during grooming, either with our experienced groomer, or do-it-yourself styles of washing that dirty dog away. Giving your fur member the shiny coat they deserve. After all, our pets rely on us to keep them in good health so they can shower us with love and companionship. I was first introduced to Lexi at the ripe ole age of 10 (or 70 in dog years). She was a golden reddish color Chow Chow with a lot of healthcare needs. I rescued an adorable black male Chow Chow, Theo at age two. Both lived very longs lives, Lexi 15yrs and Theo 12yrs. 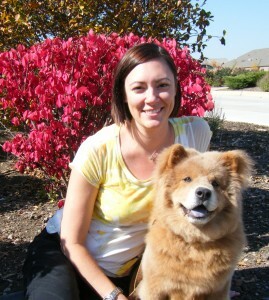 Currently I have been fortunate enough in adopting another male Chow Chow we call Ozric or Oz for short. I hope when you come into our facility you and your pet will enjoy the environment and that the experience keeps you returning to us. We hope to serve our home town for many years to come. Ozric and I look forward to meeting you and your loved ones soon! A lifelong resident of Spring Grove, I have been a dog owner all my life. When I was a child my Springer Spaniel, Tag, was my best friend. If I needed someone to talk to I would crawl into his dog house with him and he would listen to me for hours. I have never lived without a canine companion and never will. About 15 years ago a sassy Cocker Spaniel came into our lives, he had bushy white eyebrows and the name Gusto fit him perfectly, he was also a champion towel stealer. There wasn’t anywhere I went without him, when I was working in Sycamore he would ride to work with me, attend daycare… his ‘job’… And keep me company on my drive home. In August, Cooper came to us and has become our newest companion. Gus has retired to sleeping in the sun most of the time but Cooper enjoys the wise advice of his elder, often following him around the yard and sharing sleeping quarters. Cooper is also the head fur-employee here at Fur the Love of Dogs. Although his greetings are loud, he invites every fur friend with open paws and enjoys a good chase. I have worked in administration for the last 17 years, most recently as the safety manager at an entertainment transportation company. I have always enjoyed the variety of opportunities administrative work and the entertainment industry has offered me but my one true wish was that I would be able to take my dogs to work with me each day. It was only logical that I collaborate with my childhood friend Carla, a fellow dog lover, to open Fur the Love of Dogs. When Carla and I began talking and planning the opening of Fur the Love of Dogs there was never so much excitement and anticipation than being able to be with Gus and Cooper as well as other people’s best friends, every day. 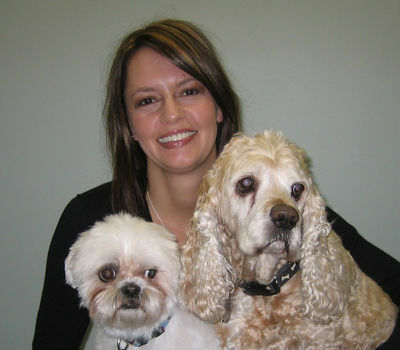 With our personal and professional experiences we strive each day to make Fur the Love of Dogs a safe and stress free facility for whatever service your fur friend is visiting us for.